Barcelona is filled with attractions you must try. If you want to decide what to do next, have a look at our recommendations on city's must do's! We recommend this not because we think that you are a football fan but because it is one of a kind experience and truly a must visit place even if you are not into football at all. It is more like a sports ritual and Camp Nou is one of the second places in the whole world you can enjoy this adored sport with 98.000 others. 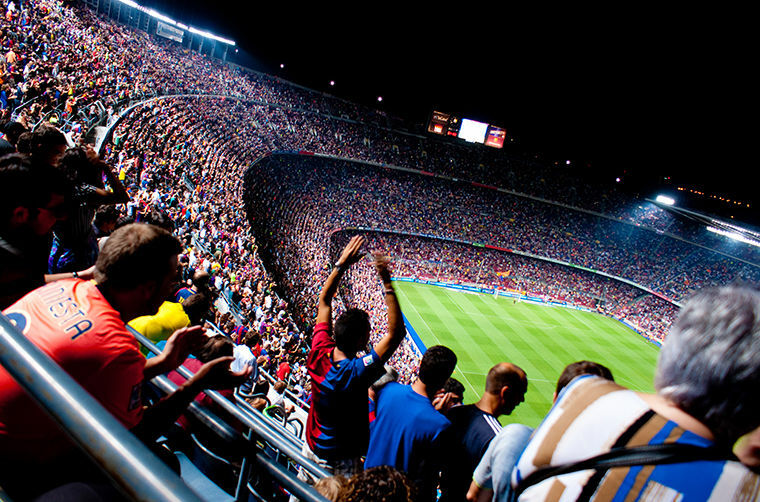 If your travel falls on the season, make sure to search for FC Barcelona tickets in advance to your trip. If not, you can still visit the stadium and see the museum that tells a lot about the history of it. You are in the land where this passionate form of dance was born. There couldn’t be a better time for you to lose yourself to the guitar melodies and feel the passion that surrounds the place where the dancers perform Flamenco. You will not only get the chance to be mesmerized by the dance itself but also will be able to observe the little details such as the makeup, costume and mimics of the dancers which makes this dance this distinctive. You may come across the banners of Flamenco shows on Barcelona streets and pick one. Or here are two suggestions from the Eventegg team: Tarantos Flemenco Show and El Patio Anduluz Flamenco Show.